There’s a reason that everyone is familiar with the expression, “An ounce of prevention is worth a pound of cure.” It’s a truism that can be extended to just about every part of our lives. And it’s particularly true when it comes to your dental care. Behind every healthy mouth is an excellent preventive care program. This means a dedicated home care routine with good technique and regular cleanings and examinations with Dr. Gray at our Edmond, OK dental office. You’ve been told your entire life to brush and floss your teeth and you’ve done a pretty good job following this rule. So why bother with professional cleanings? Professional cleanings, performed by a trained dental hygienist, are important for several reasons. For one thing, these cleanings are an excellent opportunity for your hygienist to examine your teeth and gums and let Dr. Gray know if anything seems amiss. Often, hygienists are the first to notice when something isn’t quite right. Secondly, these cleanings are crucial for keeping plaque and tartar to an absolute minimum. Plaque, the sticky substance coating your teeth that you brush away every night, provides a home for the bacteria that lead to cavities and gum disease. Although brushing and flossing keep plaque at bay, these home tools simply can’t reach every nook and cranny in your mouth. Plaque is good at hiding, particularly in spots between your teeth and just beneath the gumline. When plaque stays in place for a length of time, it hardens into tartar, or calculus, which can only be removed by a skilled hygienist using professional tools. Along with your regular cleanings, we also recommend regular examinations with Dr. Gray. During your exam, Dr. Gray will look for any potential problems that might be developing. Cleanings significantly reduce your risk for these problems, but there’s no way to guarantee that you will never get cavities or gum disease because several factors contribute to your chances of developing these oral issues, including your genetics. Exams allow us to screen you for both of these issues as well as bigger problems that could develop, like oral cancer. When you get examinations on a regular basis, we can catch any problems early, before they cause you pain or require more involved or invasive treatments. Whenever possible, we’d prefer to treat you with simple, conservative treatments, and we know that our patients prefer this as well. Dentistry should be comfortable, and regular examinations help keep it that way. That’s okay. Even if it’s been a while since your last check-up, it’s never too late to start over and improve your oral health. Some patients have told us that they were afraid to make an appointment because they have a deep-seated anxiety about dental procedures or because they were afraid that they were going to get a lecture. We will never lecture you or make you feel bad about your dental health. We will provide you with advice and support to help you make decisions about your treatment. Life gets busy, and we know that sometimes people let regular dental care fall by the wayside. Now is your chance to make a change, and we’re excited to be a part of it! Dental anxiety is common. 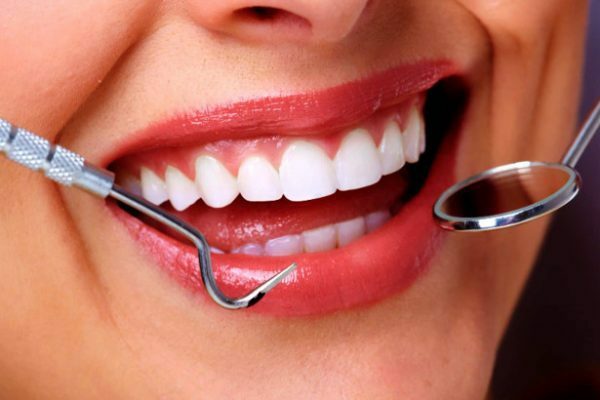 We are understanding and gentle, and we can help you feel comfortable and confident at the dentist’s office. Just give us a call and talk to us about your concerns and we’ll create a plan to help you have a great appointment. Call our office today to schedule your next check-up with Edmond dentist Dr. Philip Gray.